Two very different properties have recently come on the market that boast a feature that would make any homeowner proud: a bespoke Bear and Woods kitchen. 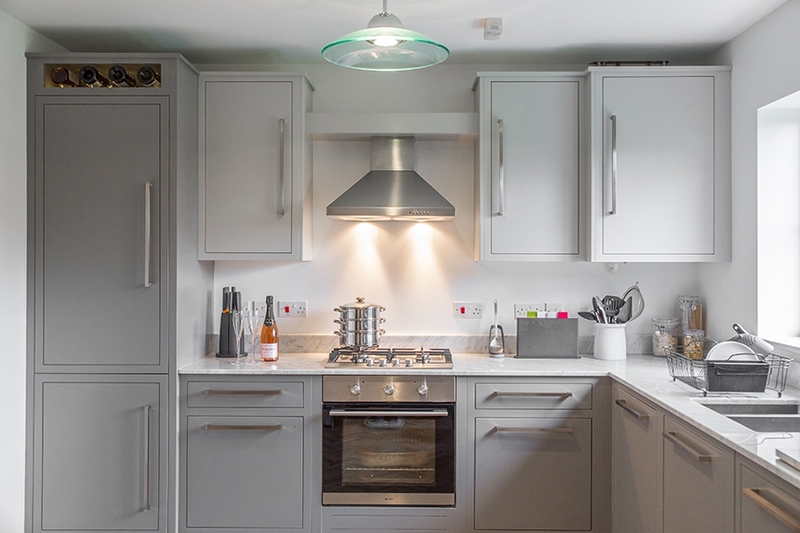 Let’s take a look at how a bespoke kitchen can add value to any home. What can you get for a million pounds, depends very much on where you are in the country. In London, it might be a Victorian terraced house. Here in Norfolk, your money goes a little further. Wensum House is a gorgeous property in Ringland to the north-west of Norwich that boasts stables, an equestrian paddock and a large detached house. The entrance hall has a glamorous imperial staircase leading to an upper level with five large bedrooms. The most appealing feature of this house, however, is its bespoke modern Bear and Woods kitchen including 40mm rounded granite work surfaces and distinctive overmantel. Read all about the design features of this spacious country kitchen. You don’t have to be a millionaire to afford a Bear and Woods kitchen. This large detached bungalow in Brundall is on the market for £285,000. In this property, the bespoke L-shaped kitchen effectively utilises every inch of space. The boiler and refrigerator are concealed in cabinets. The work surface is solid marble, but we used a 20mm cut to keep costs down. The elegant floating shelves and the wine rack provide extra storage in keeping with the contemporary design. Read more about the features of this modern bungalow kitchen. A Bear and Woods kitchen will add value to any home. It is a certain way to elicit gasps of admiration from potential buyers viewing your house for the first time. The only problem is, once you have a Bear and Woods kitchen, you probably won’t want to part with it. To find out more about our bespoke kitchens, book a design consultation. We’ll come to your home and discuss your ideas and sketch out your dream kitchen. Fill out an appointment request form or call our workshop on 01603 905145 and we will organise a time that is convenient to you. See our latest installations on Facebook.